For the guys, here are some great ideas for gift-giving this Valentine's Day along with a list of popular online stores where you can purchase them. Need good advice on what NEVER to get your sweetie for Valentine's Day? We've got it covered. If you're planning to pop the question on Valentine's Day, lucky you! You don't have to worry about what to get or where to get it! Just click over to the wedding engagement guide for all of the advice you need on buying the ring and proposing. For the rest of us, trying to decide what to give can cause more stress than going to the dentist. To give us an idea of where to begin, we decided to take a look at where people traditionally shop online for that special someone. Flowers, of course, top the list of where most men will shop for their lady love, and the Web has traditionally become their first stop. Not only is it easier, the variety and different price ranges of floral bouquets make the Net a natural for finding the perfect arrangement. For specialty items that seem just right for the occasion, all sorts of party supplies (think Valentine's Day balloons), gourmet food baskets, or even jewelry make the online specialty gift shop the place to go for getting the perfect gift for the love of your life. Remember, when it comes to giving the perfect gift, don't be afraid to think outside the box! Men should carefully consider the special interests of the modern woman, and take a tip from the experts about what women really want. The findings might surprise you! These online shops cover the flowers, cards and chocolates that are so popular for Valentine's Day - and even have a few good suggestions for other gifts to break out of the hum-drum --- to spectacular. What NOT to get your sweetie for Valentine's Day could fill volumes, but suffice to say that we've all heard stories. Maybe the most infamous is the one about the hapless husband who bought his wife a brand new vacuum cleaner for Valentine's Day. Think that was romantic? Neither did she! 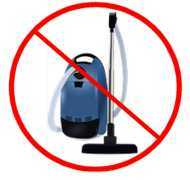 Household items - Yes, that includes vacuum cleaners, But also add pots, pans, or cooking mitts to the no-go list along with any those "miracle" gizmos advertised on late night TV. You get the idea. Clothing - You are now entering dangerous territory where your taste and hers may clash, especially when shopping for lingerie! Although it may be a romantic gesture, play it safe and opt for candy or jewelry. Books - Avoid books at all costs unless it's a signed copy by an author she loves. Gift cards - Gift cards are the perfect way to say "I really didn't want to take the time to get you something." Nope, nope, nope. Finally, if you think you know your sweetie intimately, by all means go for the unique or unusual gift. A romantic photo album, a custom gift basket, or even a box of her favorite pastries from a local bakery would do the trick. Otherwise, it's always best to stick with traditional gifts that say "I Love You" for a very Happy Valentine's Day!